Authors! Here are two great contests that are going on! The covers ARE the prizes. Entrants may enter one story per cover. Stories MUST be PG or cleaner. Your submitted manuscript must NOT have your name anywhere on the document or within the document’s file name. 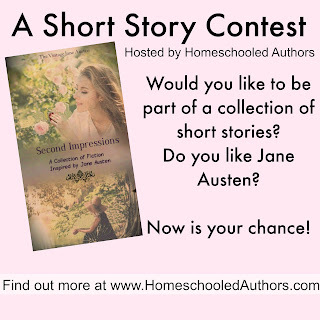 Homeschooled Authors is happy to announce we are hosting a Jane Austen short story contest! But this isn’t just any short story contest; this contest will get your story in print! Contest deadline is May 31, 2016.Winners will be announced June 2016. Six stories will be selected, with the possibility for six more for a second collection. The collection will be published in the Fall of 2016. Onscreen Adventures: Who is Simon Miller?